There are a lot of great attractions for visitors and guests to discover in the local area. If you are coming for a visit and are planning an excursion nearby you might want to consider some of these destinations. Less than 20 minutes drive The Big Pit National Coal Museum is one of Wales top tourist attractions. Previously a working mine until 1980 it now houses exhibitions of photos, artefacts and memorabilia. 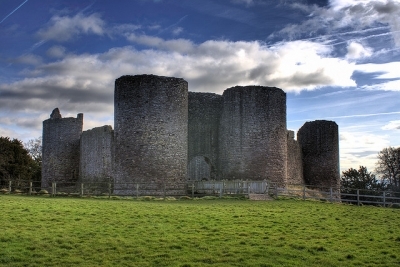 Set in the grounds of a ruined Norman castle Abergavenny Museum tells the story of the town from prehistory till the present and displays artefacts of rural Victorian life as well as Roman armour. Free admission. White Castle is a beautiful moated 12th century castle, most likely built by Henry II. A short 15-minute drive from Abergavenny via the B4521. The Walnut Tree is a popular local restaurant two miles outside of Abergavenny serving good hearty food at reasonable prices. Abergavenny is home to a bustling high street with local independent stores as well as bigger retail chains and is easily accessible on foot from Avenue Road. The nearest large shopping centre is Cwmbran a little under 30 minutes drive down the A4042.